Amaya Gaming 11 Site(s) Found. Situated in Canada, Amaya Gaming is a committed and flexible provider of casino solutions. It focuses upon services and software for online casinos. It creates turnkey packages that are fully customisable. It was in 2011 that the company moved into online casino, slots and bingo products. One of the main things Amaya is most famous for is its range of slots. Some of the most notable include ‘Vampires Vs Werewolves’, ‘Neptune’s Gold’ and ‘Lost Temple’. The company also owns a great choice of instant win and table games. One reason the company is quickly gaining popularity is due to its fast turnaround. It features a Rapid Game Deployment package which enables clients to get multiple games up and running quickly. This is especially great for new bingo and casino sites. In the online bingo world, Amaya works with Chartwell Technology to provide 90 and 75 ball bingo games. Players can choose to play with a maximum of 50 cards at once, as well as being able to partake in a number of different games at the same time. This is a unique feature that many other software providers don’t offer. 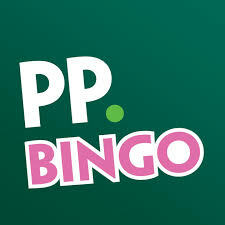 If you enjoy chatting with fellow bingo players, you’ll love the chat abilities on Amaya sites too. You can chat to players who aren’t even in the same room as you. All of these features are what help to make Amaya one of the leading online bingo providers in the world.